Thanks to the integrated BERNINA Longarm Stitch Regulator you achieve perfect stitches at equal-length no matter which speed. A manual mode with no stitch regulation is also available. Totally customizable, the user interface includes useful functions, such as five user profiles, a stitch counter, and built-in tutorials regarding maintenance. 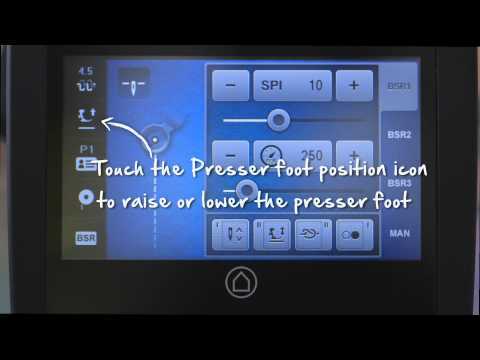 The KickStart function allows you to quilt continuously without having to hold down the foot control. The KickStart function can be easily activated or deactivated via touch screen. The well-positioned spool holders and forward threading path are easy to reach and simple to follow. The on-board bobbin winder makes it convenient to wind your own bobbins. The exclusive tension system features numeric tension settings making it very easy to use a wide range of thread types with success, no external tension assembly required. 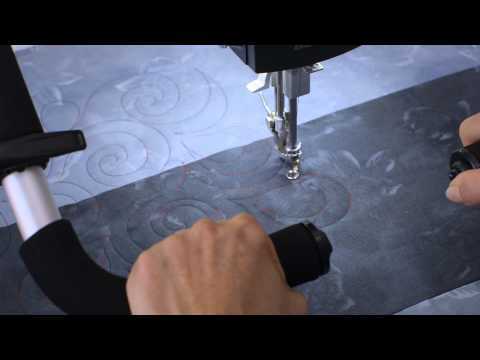 With high-speed precision stitching up to 2.200 stitches per minute, you will complete more quilts quicker than ever. The machine can be fully operated from the front. The handwheel in the front allows for easy manual needle positioning. Choose between different table options to best suit your preferences. 50 bright LED lights along the throat space of the machine and above the needle illuminate the quilt for enhanced visibility. Place your Q 20 Sit Down any time on one of the many frame options and enjoy free-hand stand-up quilting. Click here to view our optional accessories. The BERNINA Q 20 comes standard as a sit-down model machine. The elegant Koala table is designed to handle the speed and weight of the Q 20 with ease for optimal performance. Different desktop colors are available. Are you looking for a solution for limited space or a table to easily carry around? Then the Foldable Table for the BERNINA Q 20 could become your favorite companion. 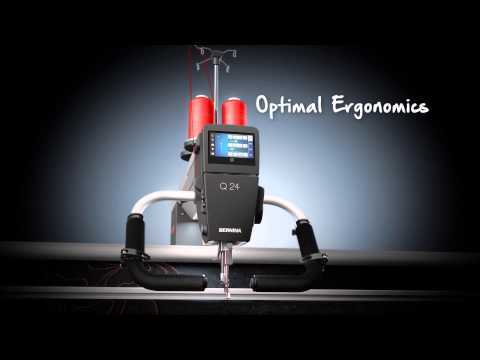 BERNINA offers a wide range of longarm accessories, which fit your long arm quilting machines and your frame.